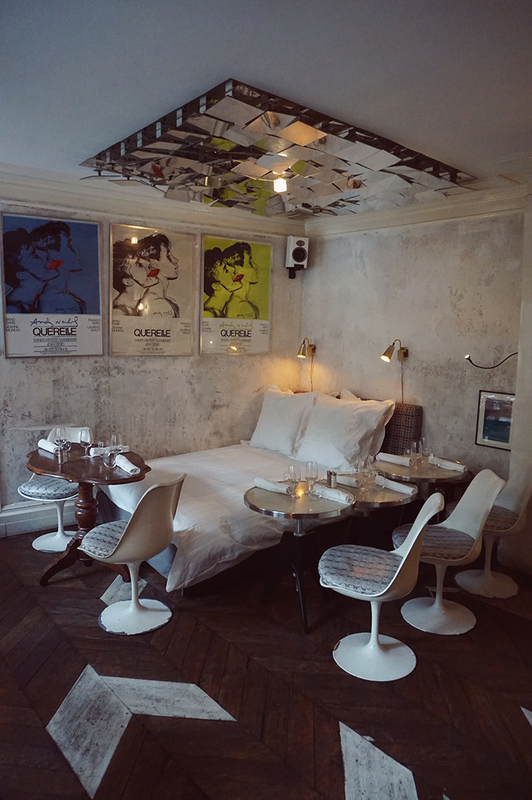 A few weeks ago I spent a weekend at hotel Balmoral in Paris. Obviously, a weekend is way too short to do this magnificent city any justice, but if, like me, you only have a few days in Paris, here are a few tips that I hope you enjoy. Please note that these are just some of the highlights, even Laduree and the young urban brands like Maje, Iro, Sandro that I adore were omitted from this selection because of time and space constraints. The first thing to mention is your form of transportation coming to Paris. We came by Thalys, the high speed French railway system, which I think is the most comfortable and fastest way to travel to Paris. Coming from Amsterdam, Bruxelles or London, you arrive at the Gare du Nord which, despite the name, is remarkably close to the center of Paris. The subway from Gare du Nord to the heart of the city only takes a few minutes. There are a lot of warnings for pickpockets, but other than that I always felt safe using the Parisian subway system. But enough safety and transportation tips, here are my favorites from my weekend in Paris! 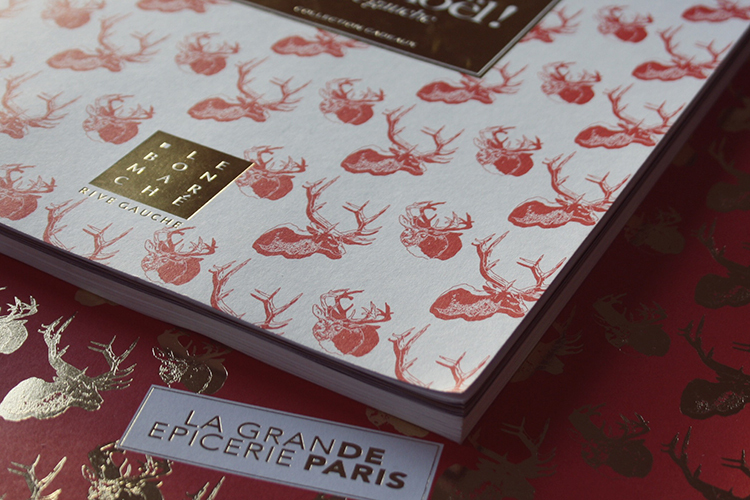 My all-time favorite stop is Le Bon Marché, the biggest and oldest department store in Paris. They sell the most extravagant pieces by high fashion designers and their jewelry department is incomparable! Le Bon Marché will help you discover your inner Parisienne. 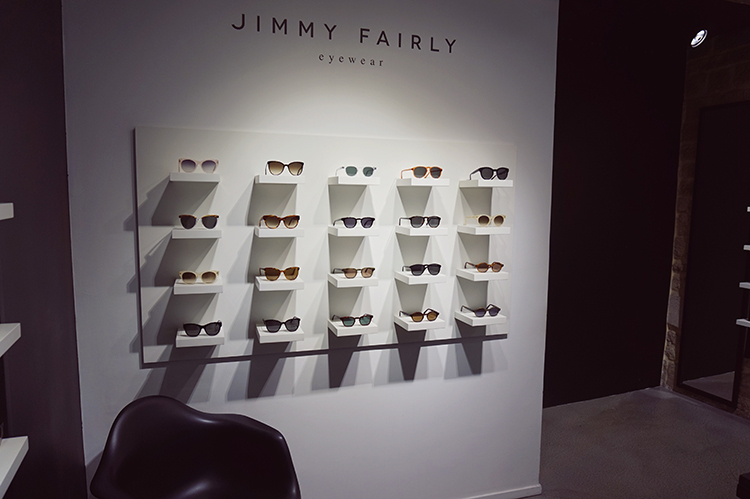 When strolling down the streets of Le Marais I stumbled onto Jimmy Fairly, a super cool and chic eyewear brand. 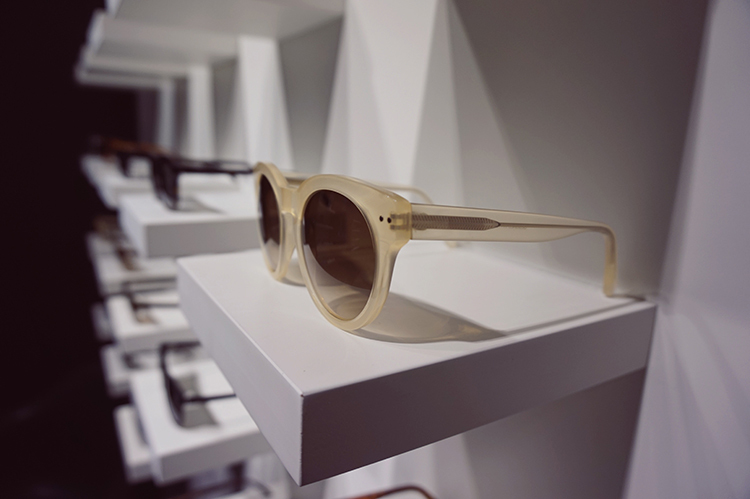 They sell vision and sunglasses for a very affordable price of 95 euro. Their sympathetic and inspiring slogan is ‘Buy one, Give one’. Meaning: for every pair they sell, they donate a pair of glasses to someone who needs glasses. I don’t want to get into the debate if they or Toms were the first to do so, since it’s all for a good cause anyway! A friend of mine introduced me to the family-owned perfume house Creed a while ago and I instantly fell in love with the brand. 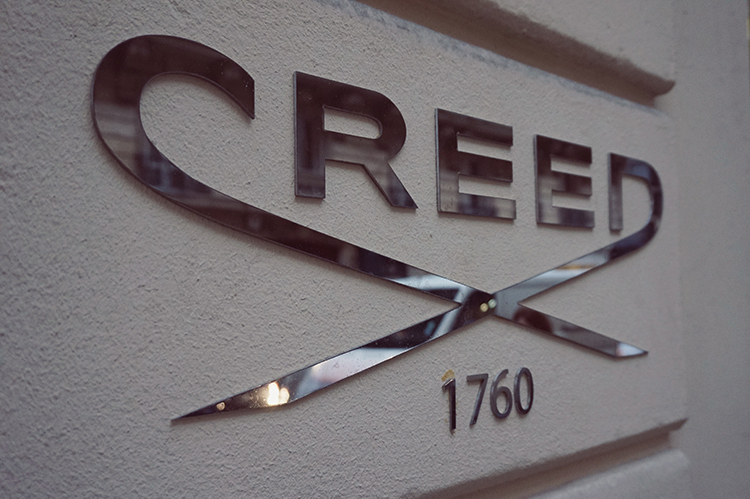 Having been around since 1760, Creed creates signature fragrances using only the finest natural ingredients and the biggest part of the creation process is done by hand. Located on the Avenue Pierre 1er de Serbie the store offers a wide range of Creed goods including new items such as acqua oraginale. 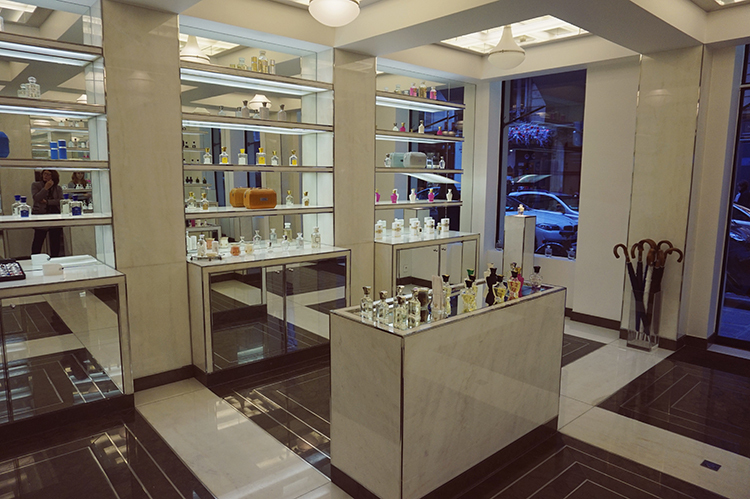 So if you are a perfume junkie seeking to complete your collection this elegant shop is definitely a must visit. 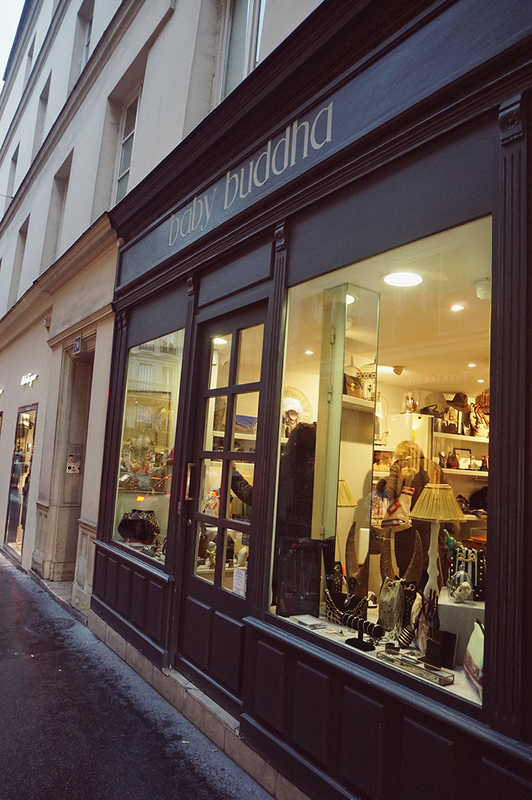 I like to share with you my favorite jewelry boutique in Paris: Baby Buddha. A tiny shop where shop owner Karine Hourtoule sells the most amazing jewelry of some of my most beloved designers, such as Aurelie Biderman, Jade Jagger and Brooke Gregson. 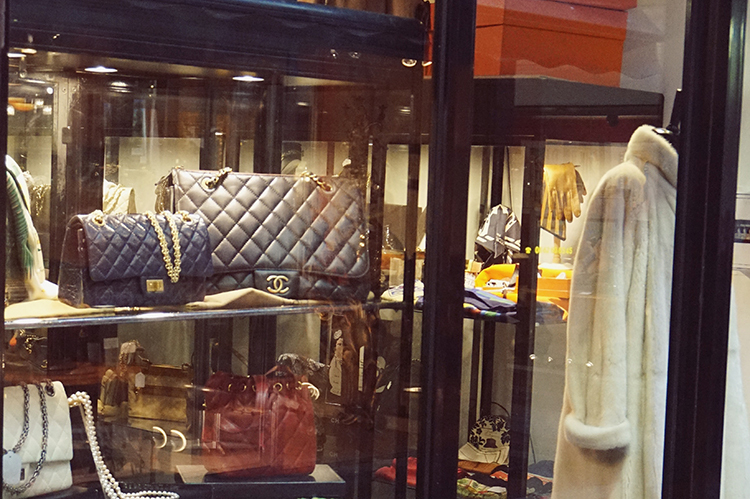 Beside the impressive collection of jewelry she also sells great handbags and purses. 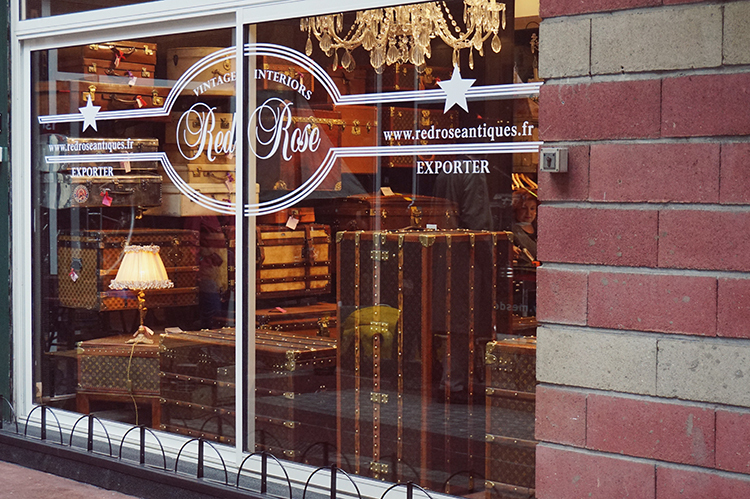 A great shop to buy a present for the loved ones that couldn’t make the trip. If you love vintage, this fleamarket is the one to visit. I’ve been to several fleamarkets around the world, but this is seriously the coolest fleamarkt I’ve visited. When I first walked in, I thought I had stumbled upon the most tacky bazar on the planet. But when I walked further I reached what I truly believe is the walhalla of all things vintage, from vintage fashion to antiques and jewelry. The ambiance of this place is phenomenal, put together with a true eye for detail when it comes to interior design. Be prepared to eat next to a bed or a ping pong table at this conceptual restaurant. 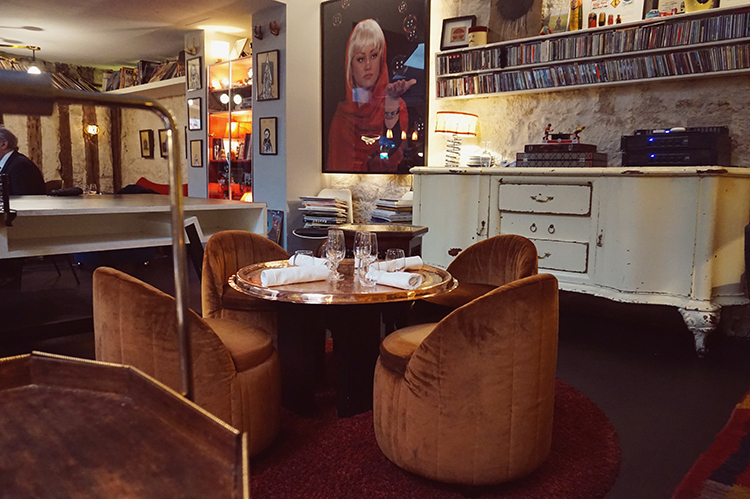 The good quality French food makes Le Derriere a must visit. Tip: don’t forget to make a reservation! This is the food sister of Le Bon Marché: La Grande Épicerie de Paris is a department store fully stocked with exclusive fine foods from all around the world. Imagine luxurious products such as truffles and foie gras, with of every product at least 15 different brands or options. This store is the ultimate dream for a foodie. 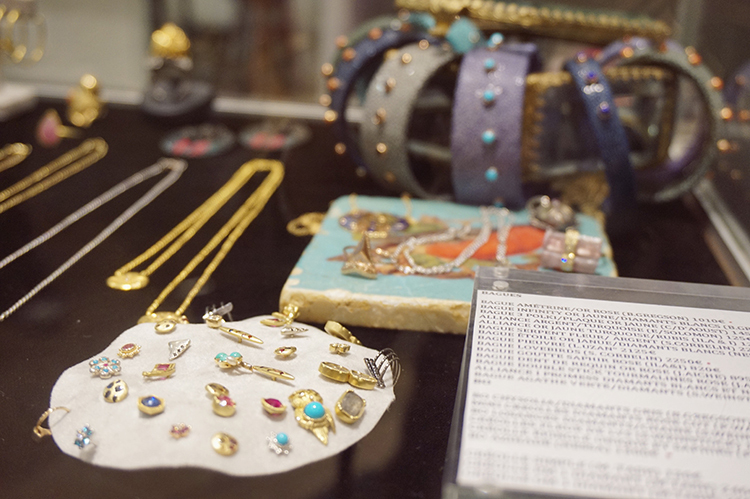 At Merci you can pick up everything from clothes and jewellery to furniture and books. But I actually like Merci best for its little and cosy integrated café. 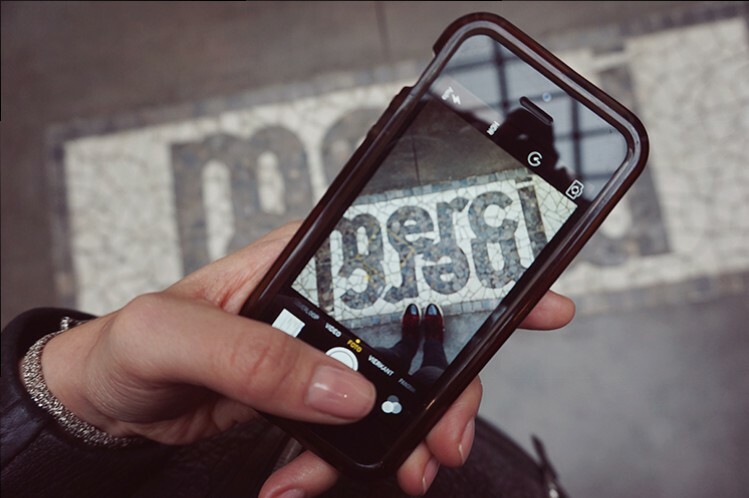 Starting the day with a coffee at Merci is the best start of the day one can imagine. Posted in TravelTagged Baby Buddha, Creed Parfume, Hotel Balmoral, Jimmy Fairly, La Grande Épicerie de Paris, Le Bon Marché, Le derierre, Marché aux Puces, Merci, Paris, sony a5000, ThalysBookmark the permalink.